Farmers and ranchers use crop insurance to protect their crops from financial losses due to natural disasters or weather that may cause a loss in crops or revenue. At HQ La Insurance Agency, we protect farms and ranches of all types and sizes for a broad spectrum of insureds throughout Oregon. 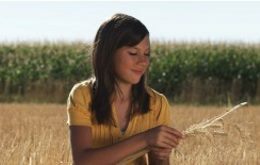 To meet this wide variety of insurance needs, we represent all sizes and types of insurance carriers for crop insurance.